Need help sticking to your fitness goals? Check out Aaptiv: the always-there personal trainer and grab a 30-day free trial and 10% off annual membership with wuntu. Fitness goals can be tricky to stick to. You’d obviously love to beat your PB, run your first 5k or to just feel a little fitter and healthier but, no matter what your goal is, it can be hard to stay motivated past the first couple of weeks. If you need some help getting (and staying) motivated, Aaptiv could be your best bet. 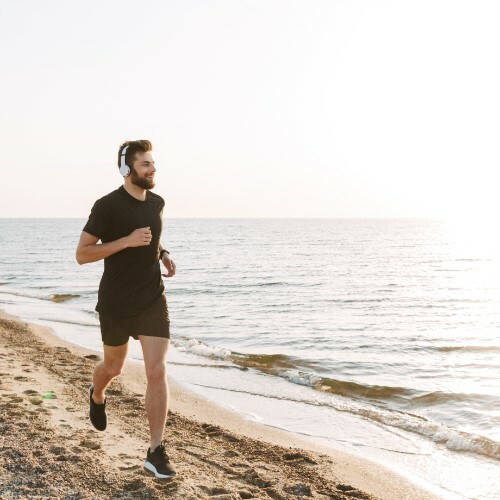 Their audio workouts are guided by certified trainers and are perfectly synced with some awesome playlists, full of motivating tracks that have been hand-picked to give you that all-important boost, just when you need it. And, there are loads of classes to choose from: running, strength training, cycling, rowing and even yoga and meditation; all at different experience levels. There’s something to suit everyone. If you fancy giving it a go, how does a 30-day free trial and 10% off annual membership sound? You just need to download the wuntu app on your phone. It’s exclusive to all Three customers and is free to download. You can find it in the App Store or in the Google Play Store. There are loads of awesome deals available every week. Now, how do you get your 30-day free trial? Open wuntu and go to the Aaptiv offer. Select ‘Claim offer’ then ‘Go to website & use now’. Sign up and the discount will be applied automatically. Promotion dates: 02.01.19 – 31.01.19. Offer expires: 31.01.19 at 23:55. One month free trial plus 10% off annual membership, usual cost US$99. Open to UK residents over 18. New customers only, excludes current active members. Customer will be billed at the end of the free trial period, unless they cancel at least 48 hours beforehand. a. Customer accesses the app and locates the Aaptiv offer. b. Customer clicks “Claim offer” and is served the redemption link to the offer on the Aaptiv website. c. Customer creates account to get 1 month free. d. Customer enters credit card information in order to claim 10% discount on annual membership at the end of the trial period. Partner full terms and conditions at https://www.aaptiv.com/terms.